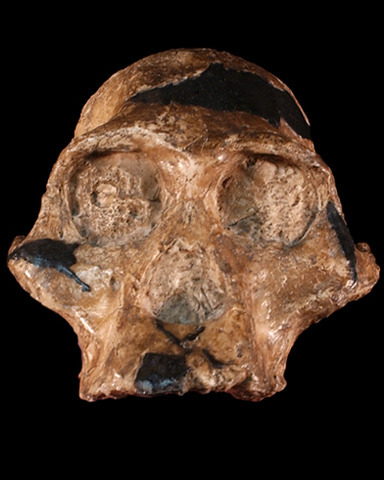 Taung 1, a juvenile cranium and well preserved associated endocranial cast, is the type specimen for Australopithecus africanus. The fossil was found by M. de Bruyn, an employee of the Northern Lime Company, in a small exposed cave at the Taung (nee Taungs) quarry, South Africa. Raymond Dart received the fossil from a colleague who brought Dart two crates of breccia encased material. Dart proposed Taung as an early bipedal ancestor of human, based on a mosaic of traits that included a inferiorly placed foramen magnum. Many anthropologists refuted Dart's opinion at the time. However, the discovery of additional South African australopithecine fossils, including postcranial material, helped to support Dart's hypothesis that Taung was of a small brained, small statured species that walked bipedally. Because the fossil was to tightly packed into the breccia matrix surrounding it, Sts 5 was quite literally blasted out of the limestone cave where it was originally found. The explosion split the specimen’s braincase into into 2 pieces. 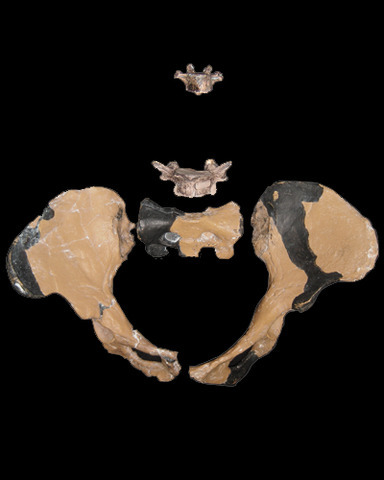 Nonetheless, Sts 5 is one of the most complete examples of an Australopithecus africanus crania. Originally thought to be a middle aged female, Sts 5 was nicknamed "Mrs. Ples" by its discovers. 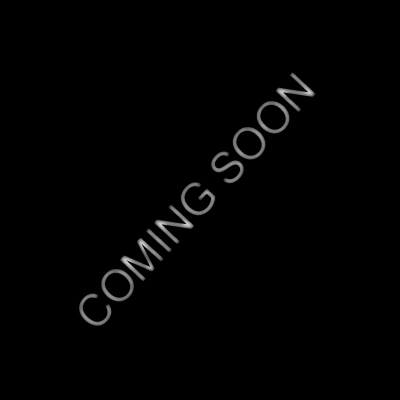 Recent analyses suggest that Sts 5 is most likely male, although debates continue regarding the specimens biological age. 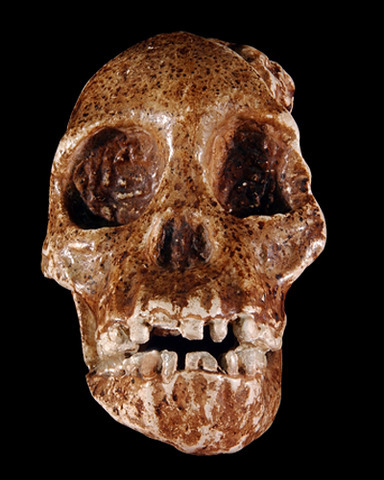 Sts 5's discovery in 1947 helped to solidify the status hominin of Taung Child (discovered in 1929), which many had argued was an ape rather than a bipedal hominin. 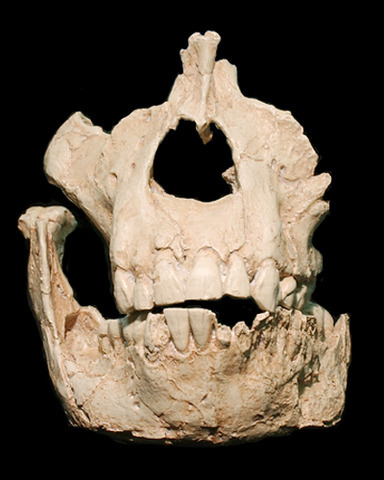 Over 600 fossils have been recovered from Sterkfontein, including including the partial cranium Sts 71. Sts 71 dates to about 2.5 Ma. Although Sta 71 was initially reported as a female, later research determined the specimen was an adult male. In August of 1947, a partial adult skeleton was discovered within the breccia deposits at Sterkfontein, in South Africa. The Australopithecus africanus material dates to between 2.6 and 2.8 Ma, and consists of many post cranial elements which provided crucial evidence for bipedal locomotion in australopithecines. 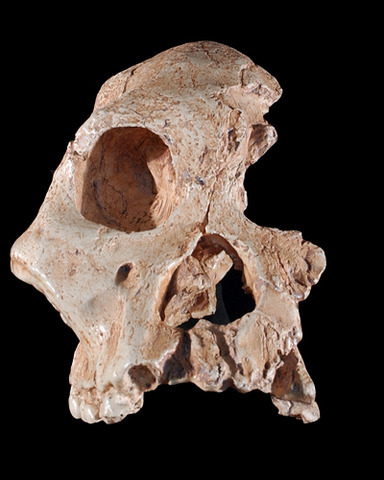 Sts 14 deminiative size suggests that the individual was probably female.